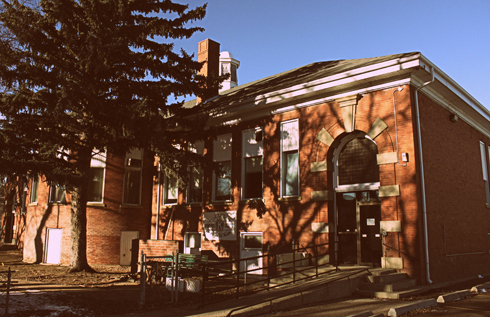 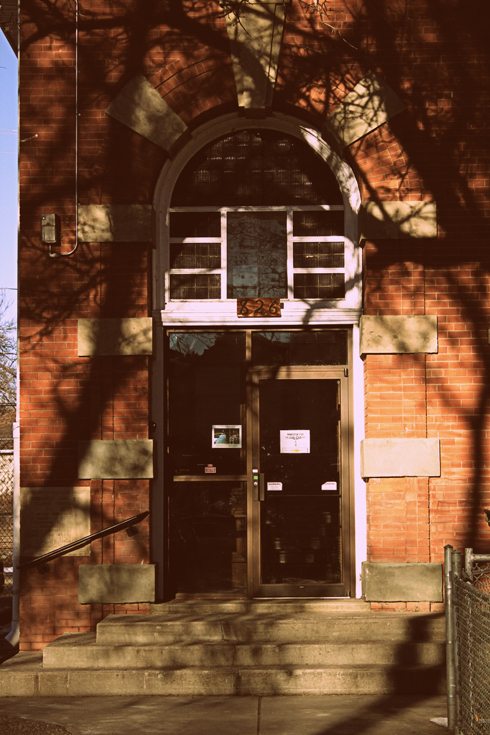 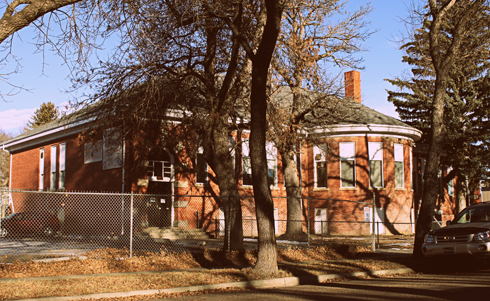 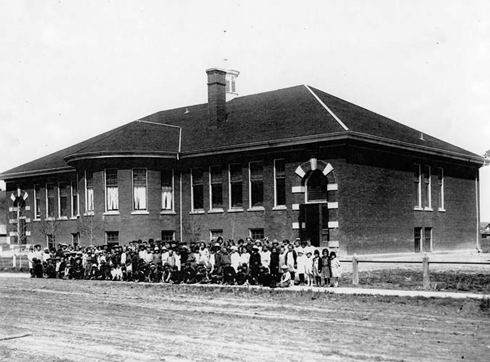 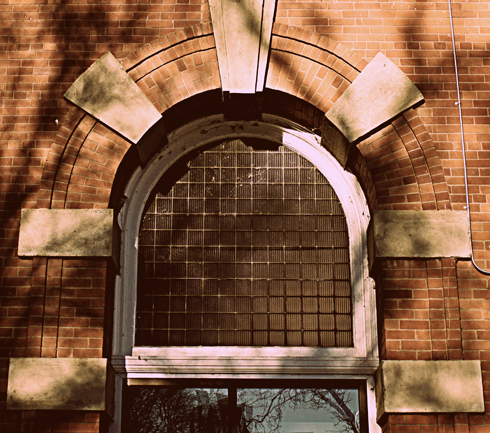 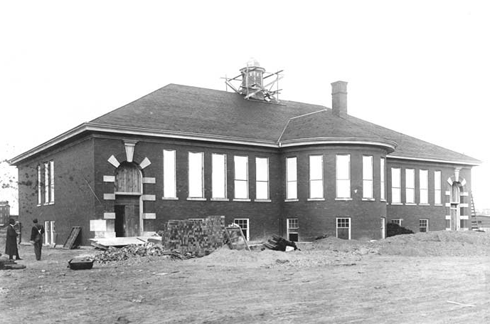 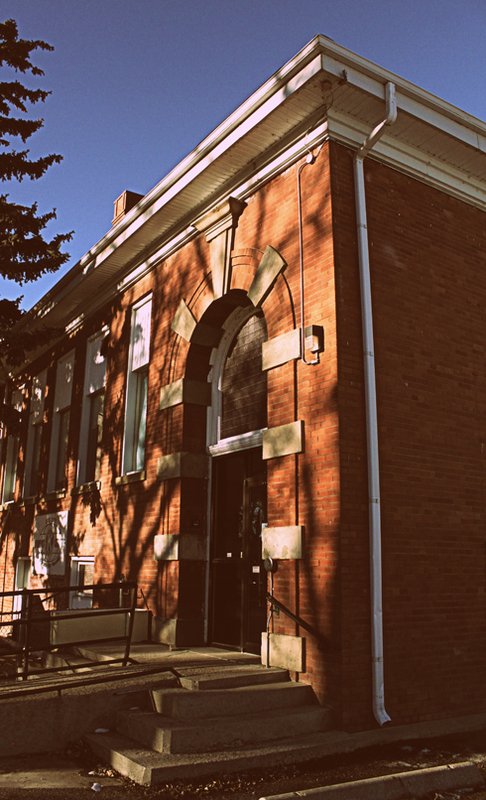 Constructed in 1912, Elizabeth Street School in Medicine Hat, Alberta was one of several other schoolhouses built in the city in the early 1910s. 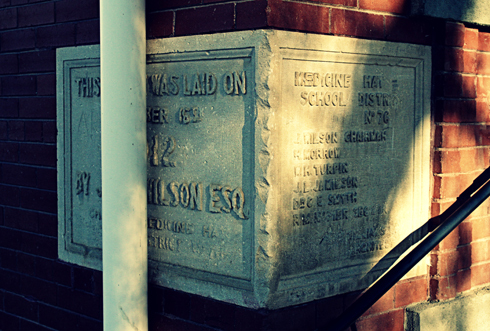 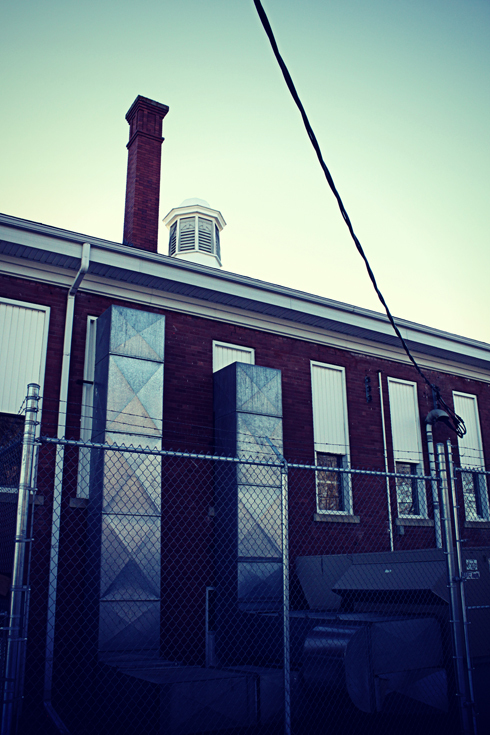 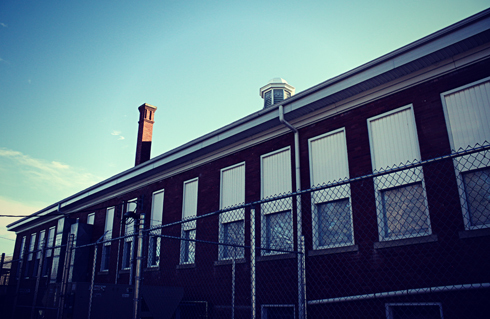 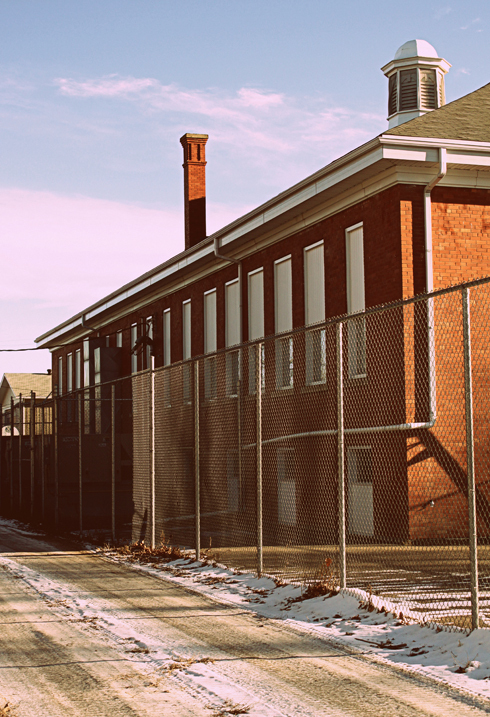 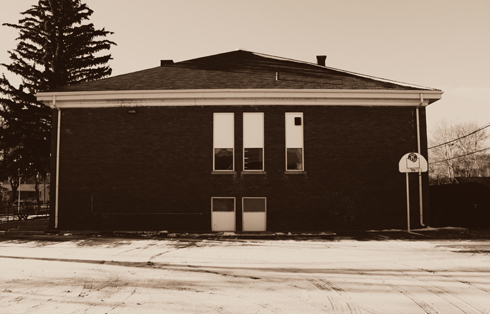 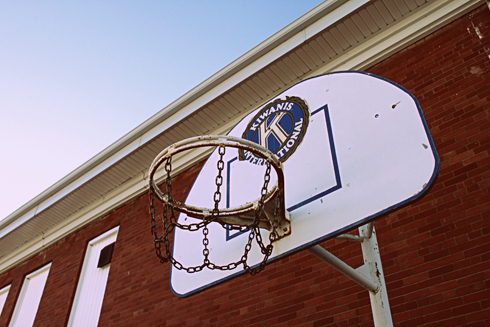 In contrast to Connaught and Elm Street, Elizabeth Street School was much smaller. 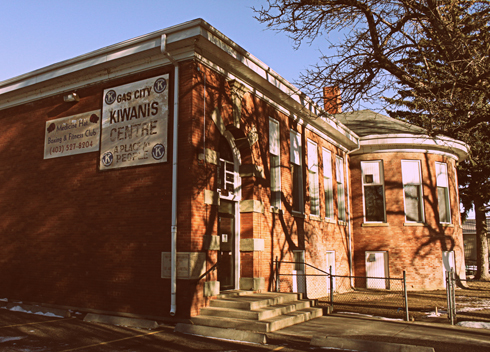 To my knowledge it was mainly a primary school all of its life before closing several decades ago. 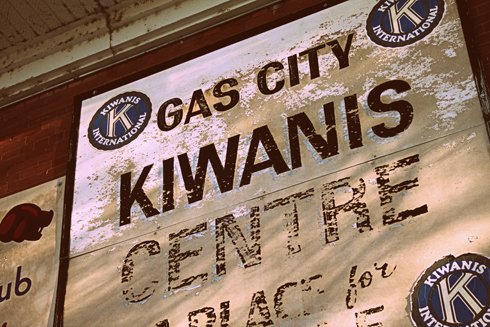 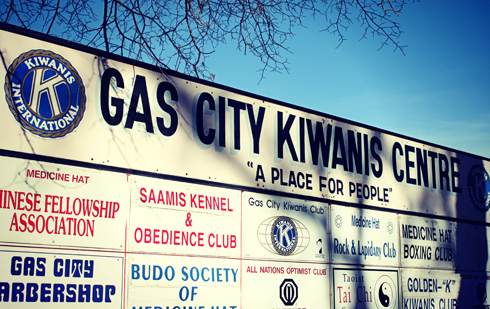 Today the building houses the Gas City Kiwanis Centre. 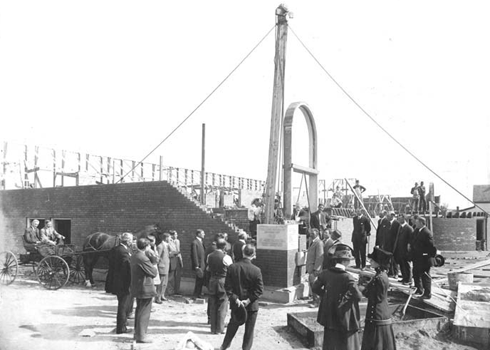 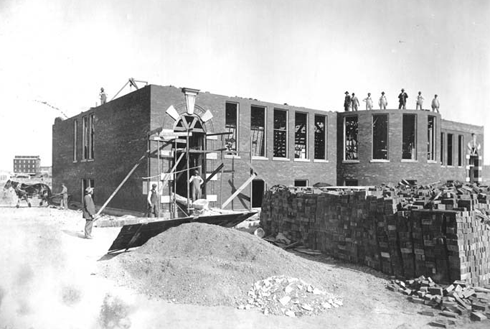 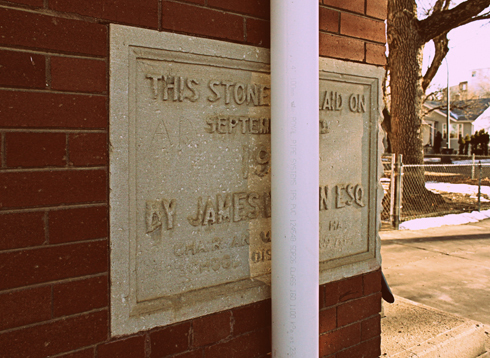 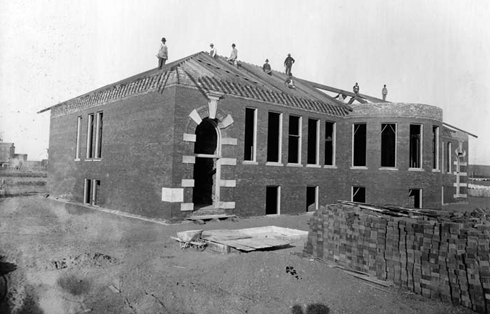 In September 1912 the cornerstone for the school was laid in place, although I was disappointed to see that a drain pipe now partially obscures it. 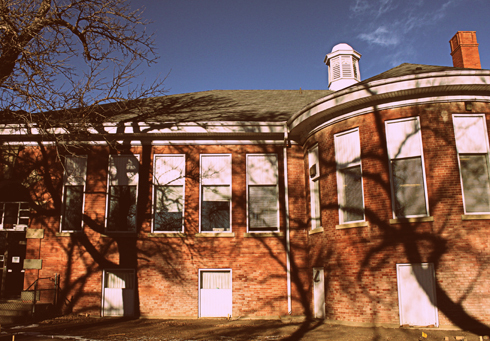 All things considered the old building appears to be in pretty good shape. 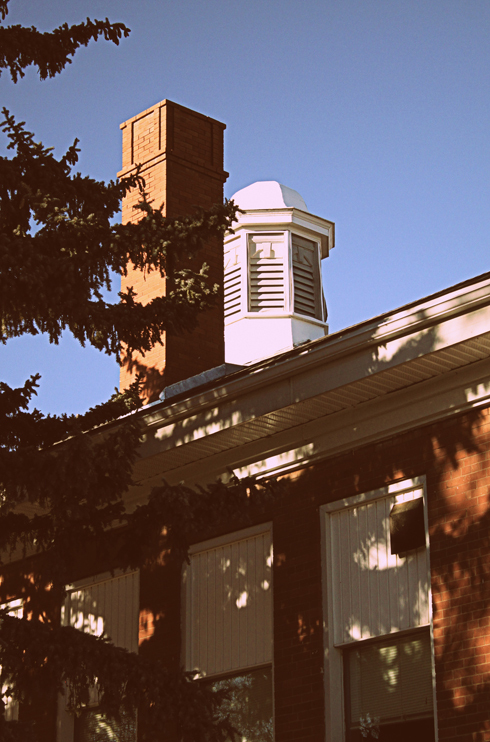 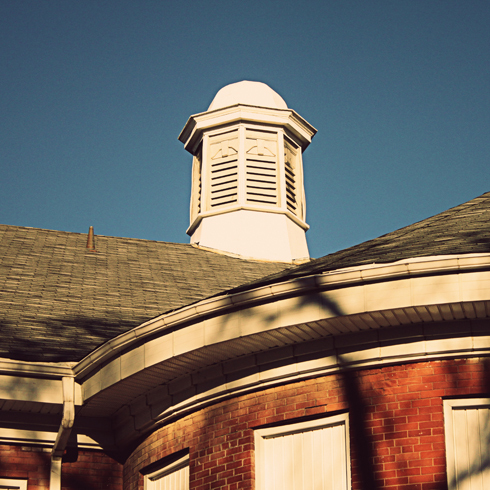 Elizabeth Street has since become 11th Street, and despite the building no longer being a school, it's nice to see original details like the dome and tall brick chimneys still in place. 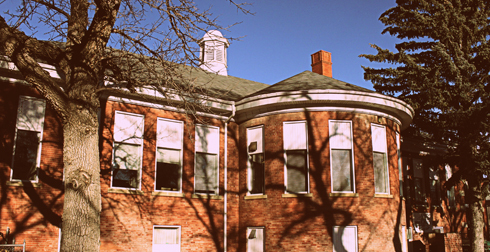 It's a beautiful building, however trees obscure most of the view from the street, and given its location in the south flats, if you were like me, you probably weren't even aware it was there. 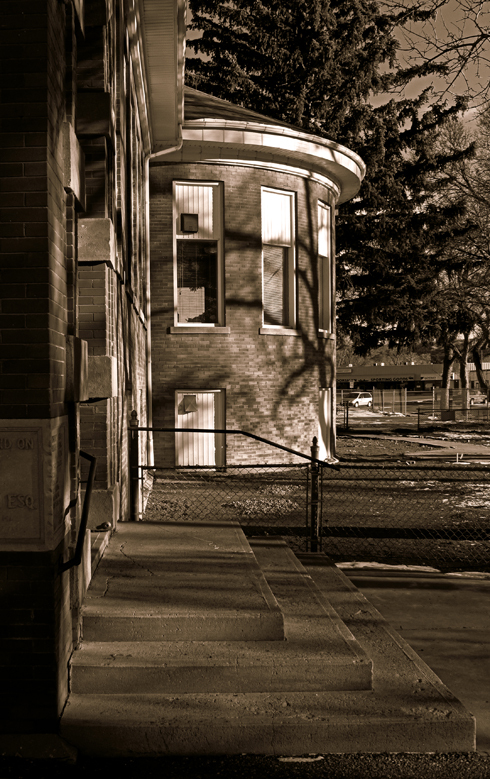 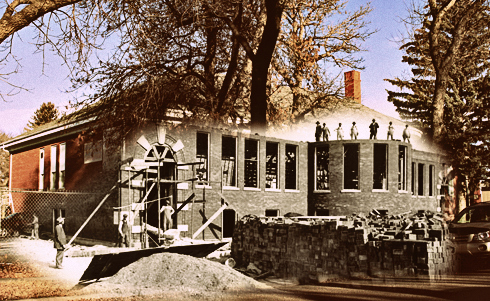 Ghosting image of my modern shot merged with one from 1912.